Top Notch Material: Purchase Trident the Week of 9/20 to Donate to Smiles Across America! 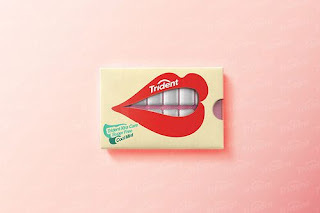 Purchase Trident the Week of 9/20 to Donate to Smiles Across America! This post was sponsored by Trident and financial compensation was received for this post. The sponsor and any compensation received for this post in no way affected my opinion or any statements presented in this post. Your smile is the first thing that people see when they meet you, and can have a huge impact on the way others view you. Not only that, but your oral health can have a HUGE impact on your overall health too! I was so happy to hear that Trident has supported Smiles Across America for the past 11 years and has donated more than $2,500,000! That is a HUGE chunk of change for such an amazing cause! This donation has help MANY underserved children get healthier smiles over the past years! If you are wondering how to make your smile a little healthier, make sure to brush twice a day (at least two minutes each time, floss, visit a dentist at least every 6 months and also chewing the delicious sugar free gum Trident in wonderful flavors like spearmint or delicious fruit flavors for twenty minutes after eating will help clean and protect your teeth! This post was sponsored by Trident and financial compensation was received for this post. The sponsor and any compensation received for this post in no way affected my opinion or any statements presented in this post. Top Notch Material blog always provides honest opinions, beliefs or experiences on products and services reviewed. If you have any questions or would like your product, service or company featured on Top Notch Material, please contact Paige from Top Notch Material at nursemommypaige@ yahoo dot com. The disclosure is done in accordance with the Federal Trade Commission 10 CFR, Part 255 Guides Concerning the use of Endorsements and Testimonials in Advertising. I did my part and bought trident! 2 oaks matter of fact! Every little bit helps the cause! I wonder if they are running the same campaign in Canada? My dentist works with the Smiles Across America. Thanks for helping those who need a little kindness, Trident!